Love organic beauty products? Make Neal’s Yard Remedies your one-stop shop. Apart from a gorgeous range of skin, hair care and essential oils of their own, their stores in the UAE also curate and stock interesting organic and natural beauty brands from across the globe. I recently discovered NOAH, an Italian hair-care range that boasts of not having any chemical nasties like silicones, parabens, paraffin mineral oils, DEA and SLS. In a market flooded with commercially bright ‘me too’ brands shouting over one another to grab a consumer’s attention, NOAH keeps their packaging deceptively plain and simplistic. Don’t be fooled by the simplicity on the outside. I’ve been using their Regenerating Shampoo with Argan Oil and Regenerating Hair Mask with Argan Oil for the past couple of weeks, and can vouch for this delightful combination. First off, the scent. Both the shampoo and the mask smell divinely beautiful. I can’t seem to pinpoint on the exact scent; its mildly sweet, somewhat floral yet fresh and feminine. Best of all, no chemical scents have been added. What you smell here is pure essential oils. Despite being SLS free, this shampoo tends to lather up pretty well for a ‘natural’ product. This shampoo is enriched with vegetal surfactants that delicately cleanse the hair, and with the added enrichment of prized argan oil, this shampoo promises to combat dryness and brittleness, and add elasticity and shine to the hair. I’ve used this shampoo on its own, in a rush without following up with conditioning. Usually this would leave my hair feeling dry and frizzed up, but with this product my hair actually looked and felt squeaky clean without the dryness. Bet you think a product like this costs a bomb? Not at all the case! It’s AED 90 for a 250 ml bottle that will easily last you 2 months or more. Bargain beauty alert! This pot read “for very dry, damaged and treated hair”. Just what my mane has been crying out for! Using this mask is a real treat. Its luxuriously creamy, and smells so beautiful that I even used it overnight, shower-cap on. It works great for taming frizz and fly-away hair, and makes my dry ends look so much more alive and hydrated. For a 200 ml pot, this gorgeous hair mask will set you back a mere AED 160. For the quality and ingredients that go into this beauty, this really is a bargain price to consider. The NOAH range is exclusively available at Neal’s Yard Remedies stores across the UAE. 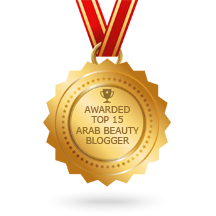 Posted in Beauty, Product Reviews and tagged Argan Oil, Beauty, hair, hair care, natural beauty, NOAH, organic beauty. Bookmark the permalink.